The weather is getting warmer which means we will have to put away our Bean boots and heavy coats until next year. 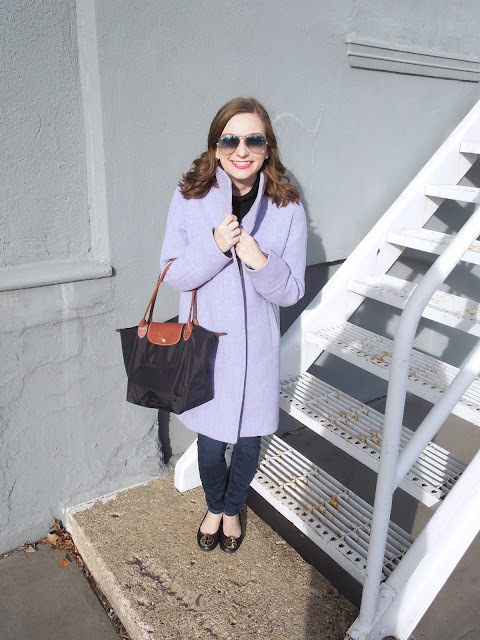 But, before we do, I wanted to share my newest coat obsession... this purple coat. When I first saw it at J Crew I knew it was a must have. Purple is my all time favorite color, so this pastel purple hue was calling my name. Although I had been eyeing it for quite some time, I knew eventually it would go on sale. 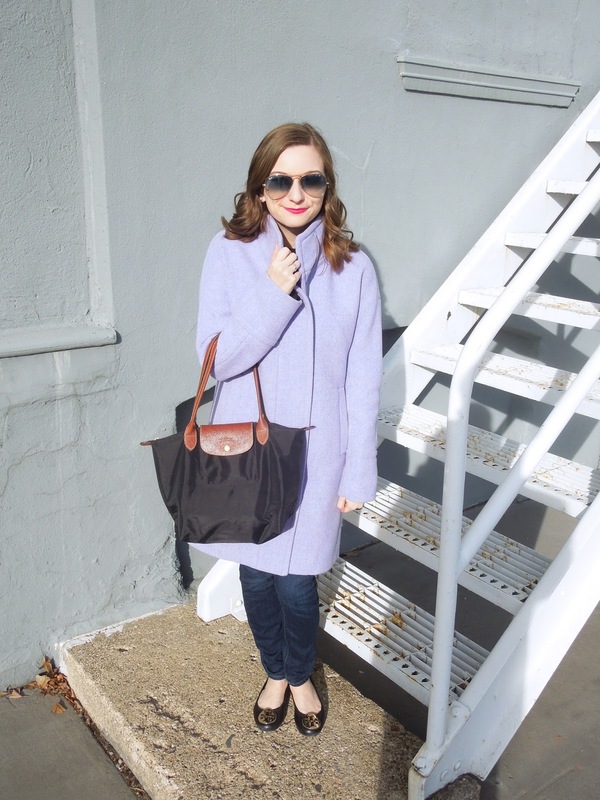 A college girl can't afford to drop $300+ on a fancy fun coat. When J Crew had their 40% off the entire store promotion around the holidays I scooped it up. This coat is decently heavy, but is by no means a parka. So, I normally only wear it when I am dressed up or I'm just running inside somewhere. I've warn it on campus a few times, but when it comes to cold Iowa weather my Northface parka does the job of keeping me warm while this is more of a fashionable coat. None the less, I am obsessed with this coat! 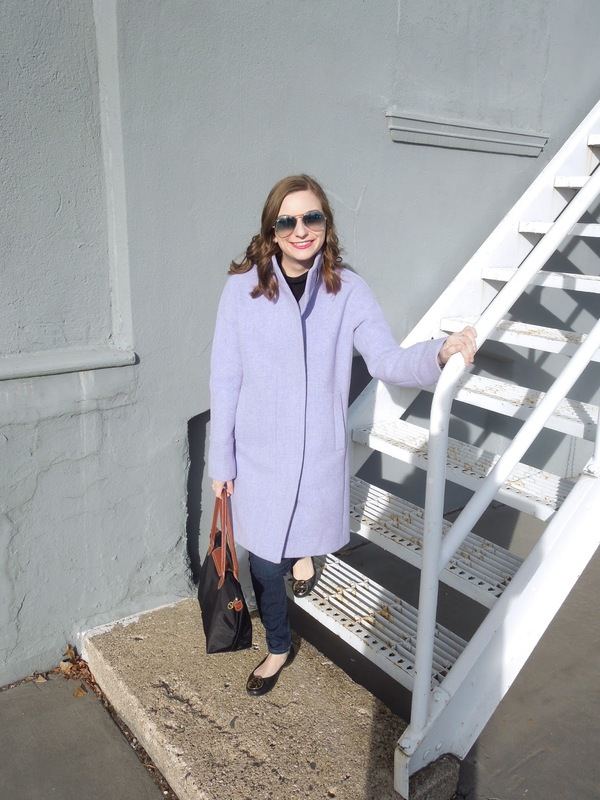 J Crew had way to many cute coats this year, but this one ended up beating the rest. A close second was a pink blazer style wool coat that was so adorable as well. I love that J Crew takes a bold punch of color to their outerwear. Wearing a boring black coat gets old after a while. 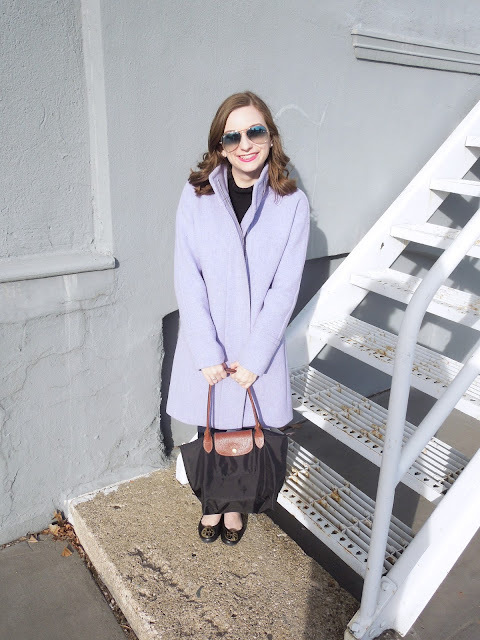 This pastel purple adds a dash of color to whatever I wear. 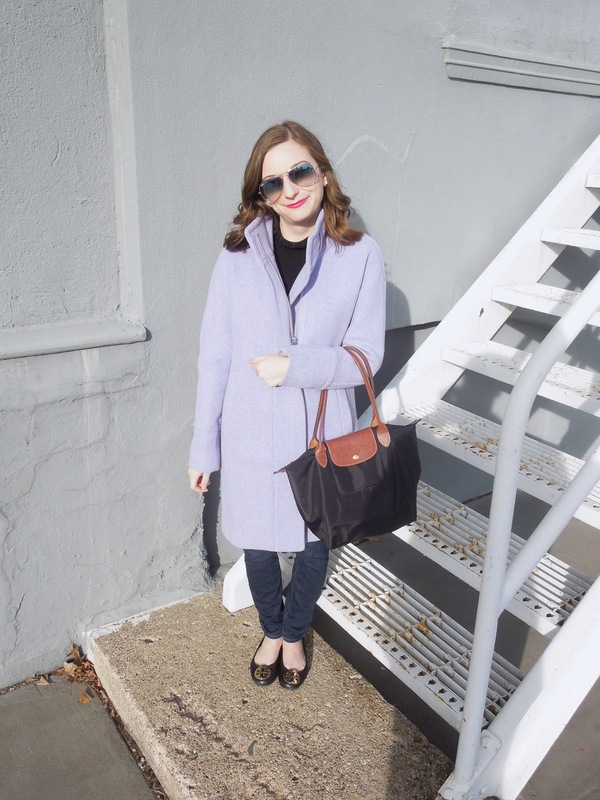 What is your favorite fancy coat? Let me know in the comments! The colour of the coat is amazing!! I've mostly seen bloggers wearing pink coats lately, but I might look into purple ones haha! Love, love, loooove this color! I'm a sucker for all light tones sometimes! 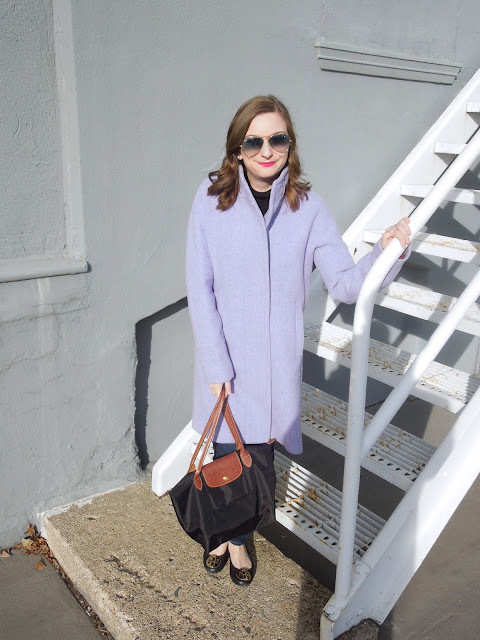 This coat really does look amazing on you!